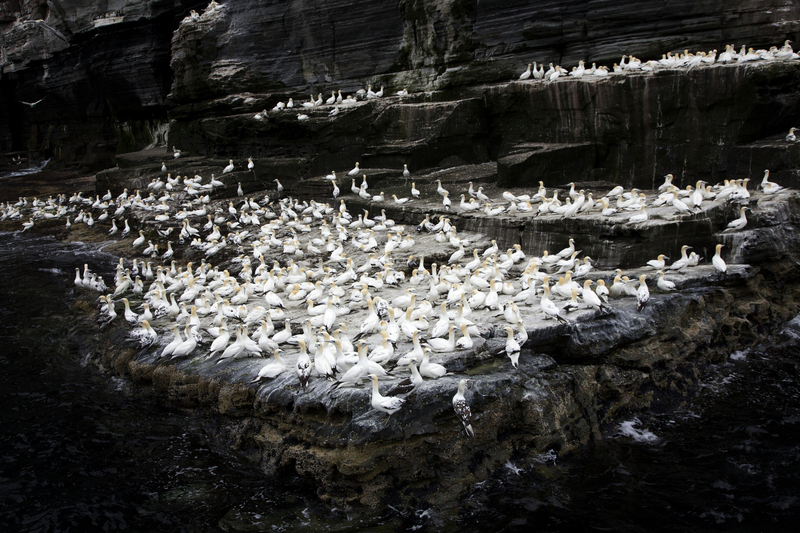 Every summer, hundreds of thousands of birds make their home on the vast cliffs of the Shetland isles at the boundary of the Atlantic Ocean and North Sea. These so-called seabird cities provide a window under the waves to gauge the health of our oceans. When the fisheries are in trouble, the results are first seen in the local seabird populations. For over a decade populations have been in decline. The work will focus on the natural wonder of seabird cities of Shetland and explore the threats and solutions posed by the local oil industry. I want to bring this distant threat to light to show scale and value of this remote ecosystem and the threats it faces for the future. Northern Gannets (Sula Bassana), the largest sea bird in the northern hemisphere, blanket the cliffs of Shetland in dizzying numbers. Fishing nets colour cliffs green at Hermaness on the island of Unst, collected by the birds at sea. Chicks and adults frequently entangle their beaks and hang themselves from the nest. This graphic cost is heavily outweighed by the fact the population is exploding on the food throw out from these same fishing nets. The Shetland islands are at the heart of the UK’s pelagic fishing grounds and mark the boundary between North Sea and Atlantic Ocean EU quotas intended to protect fish stocks by discarded excess have supporting huge colonies of northern gannets, fulmar petrel and great skua. Up to 50% of every fishing catch is thrown overboard to prevent fines. Proposals to scrap this system in early 2015 have been postponed but if introduced will likely reduce sea bird numbers.One third of the EU’s breeding sea birds are found in Scotland with over a million nesting on Shetland’s wrinkled 1600-mile coast. Sea birds are indicators of marine health providing a window under the waves. 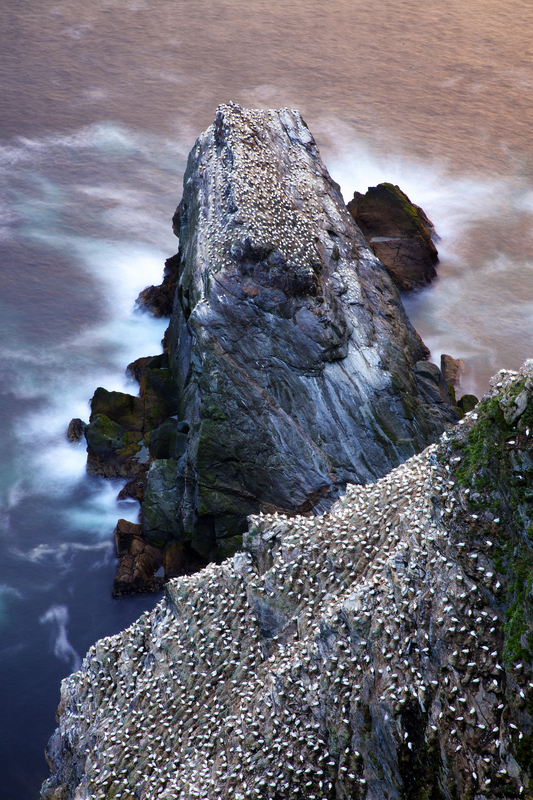 Northern Gannets (Sula Bassana), the largest sea bird in the northern hemisphere, blanket the cliffs of Noss in dizzying numbers. The Shetland islands are at the heart of the UK’s pelagic fishing grounds and mark the boundary between North Sea and Atlantic Ocean EU quotas intended to protect fish stocks by discarded excess have supporting huge colonies of northern gannets, fulmar petrel and great skua. Up to 50% of every fishing catch is thrown overboard to prevent fines. Proposals to scrap this system in early 2015 have been postponed but if introduced will likely reduce sea bird numbers. One third of the EU’s breeding sea birds are found in Scotland with over a million nesting on Shetland’s wrinkled 1600-mile coast. Sea birds are indicators of marine health providing a window under the waves. Globally they are the fastest declining group of birds due to climate change, lack of food and development at sea. The body of a Northern Gannet (Sula Bassana) lies on St Ninian's beach. Man-made plastics travel across oceans from North America and Europe ending up in the food chain or on beaches. 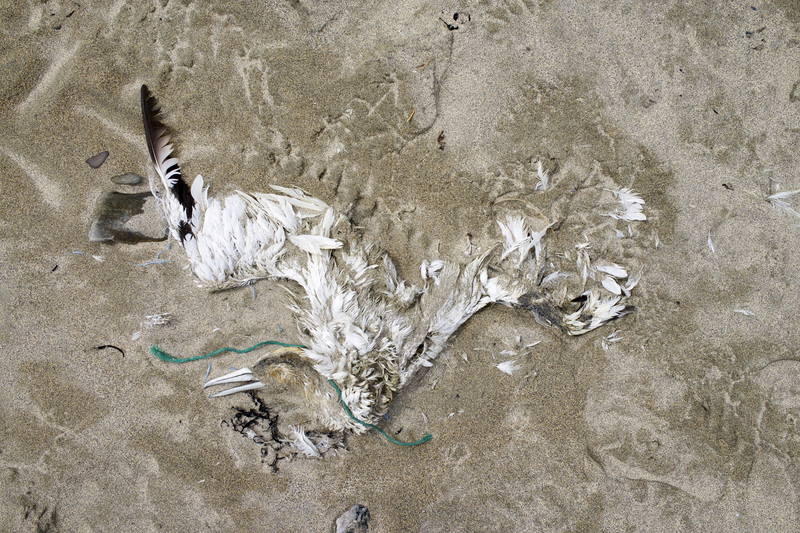 The cause of death is unknown for this gannet but many starve with stomachs full of indigestible plastic. A fifth of the Shetland’s population turn up for the annual ’ReddUp’ making it the largest litter pick in Europe. The Shetland islands are at the heart of the UK’s pelagic fishing grounds and mark the boundary between North Sea and Atlantic Ocean EU quotas intended to protect fish stocks by discarded excess have supporting huge colonies of northern gannets, fulmar petrel and great skua. Up to 50% of every fishing catch is thrown overboard to prevent fines. Proposals to scrap this system in early 2015 have been postponed but if introduced will likely reduce sea bird numbers. One third of the EU’s breeding sea birds are found in Scotland with over a million nesting on Shetland’s wrinkled 1600-mile coast. Sea birds are indicators of marine health providing a window under the waves. Kieran Dodds (b. 1980) is a Scottish photographer known for his research-driven photo stories. His investigative approach places complex news in its context and seeks significant detail overlooked in daily reporting. 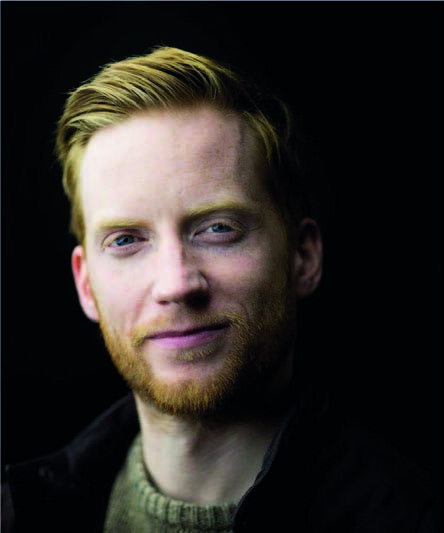 His personal work considers the role of environment in culture.